Meet Estrella. She can run so fast that she burns up the air, leaving trails of flames wherever she goes. Her pets -- a Kickle Snifter, a Sidehill Wowser, and a Rubberado puppy -- are as untamed as California, and the pride and love of Estrella's heart. 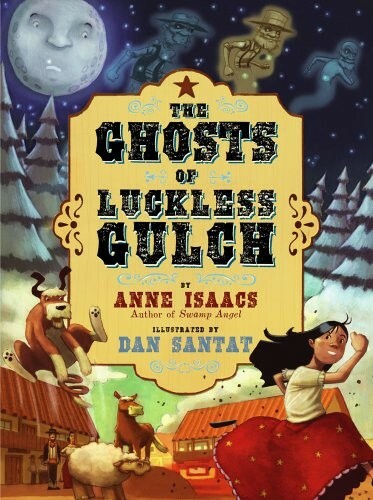 When the greedy ghosts of old gold miners steal her pets, Estrella will need every bit of her pluck and nimble-footedness to rescue them from the ghosts of Luckless Gulch. 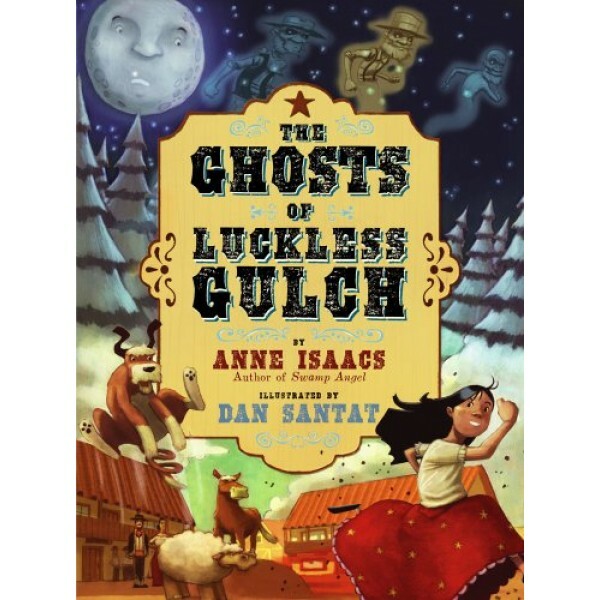 From the author of Swamp Angel and the artist who created The Replacements comes a tale as unpredictable as the California Gold Rush, as tall as a Redwood tree, and as surprising as a skunk selling perfume. Pull a chair up to the wood stove and get ready to laugh!